The TruNavigatorTM software suite is the most advanced multivariate decision analysis toolset available. 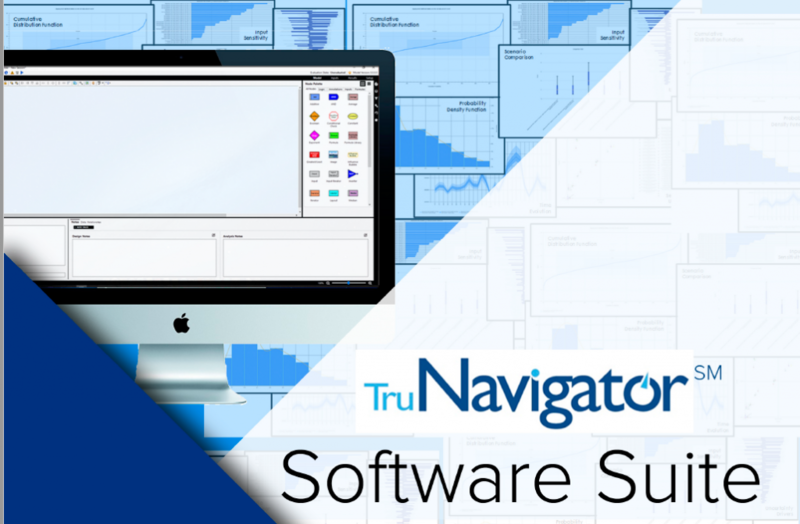 The integrated suite of tools, which includes Model Builder, TruNav Analysis Manager (TAMTM), and OptiSolvTM are natively designed to address real-world complexity and uncertainty at any scale. The suite of tools delivers a highly transparent environment and requires no programming. The result is that TruNavigatorTM successfully delivers rapid, easily understood, high confidence insight into our customers most difficult industry, function, process, and product issues. Lone Star Analysis enables customers to make insightful decisions faster than their competitors. We are a predictive guide bridging the gap between data and action. Prescient insights support confident decisions for customers in Oil & Gas, Transportation & Logistics, Industrial Products & Services, Aerospace & Defense, and the Public Sector. Lone Star delivers fast time to value supporting customers planning and on-going management needs. Utilizing our TruNavigator® software platform, Lone Star brings proven modeling tools and analysis that improve customers top line, by winning more business, and improve the bottom line, by quickly enabling operational efficiency, cost reduction, and performance improvement. Our trusted AnalyticsOSSM software solutions support our customers’ real-time predictive analytics needs when continuous operational performance optimization, cost minimization, safety improvement, and risk reduction are important.